Now even Daredevil can enjoy Daredevil! 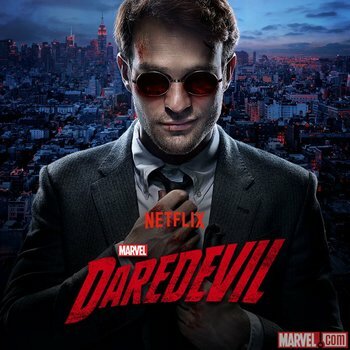 When Marvel's Daredevil premiered on Netflix earlier this month, it did so with one serious chunk of accessibility missing: audio descriptions. These descriptions, which provide narrative explanation of action depicted onscreen, would ensure that blind or visually-impaired persons had the same opportunities to binge on Daredevil as those without visual disabilities. The obvious irony here is that with the audio descriptions missing from the show, even Matt Murdock himself couldn't enjoy his own exploits. Netflix received negative feedback on the missing audio descriptions for less than a week before taking action. Yesterday, Netflix released a blog post stating that audio descriptions had been added to Daredevil, and that they have plans for a larger roll-out of the functionality to other titles. "In coming weeks, we'll add more titles, including current and previous seasons of the Golden Globe and Emmy award-winning political thriller House of Cards, Emmy award-winning comedy-drama series Orange is the New Black, as well as Tina Fey's Unbreakable Kimmy Schmidt and the epic adventure series Marco Polo. Netflix is actively committed to increasing the number of audio-visual translations for movies and shows in our English-language catalogues. We are also exploring adding audio description into other languages in the future." Though it was a huge missed opportunity to not launch Daredevil with audio descriptions, Netflix has stepped up to promptly resolve this ironic issue. I like to think Matt Murdock would approve.